"Thanks for making awesome straps! Born in Honolulu, Hawaii, Blaise began his professional career as a musician in 1981. His list of credits include performances with various bands as an opening act for Toto, Cameo, Morris Day and the Time, Chuck Negron, Steppenwolf, Average White Band, Blood, Sweat & Tears, Tommy James & the Shondells, War, Maceo Parkter, Portishead, Kenny G. and Billy Ocean. 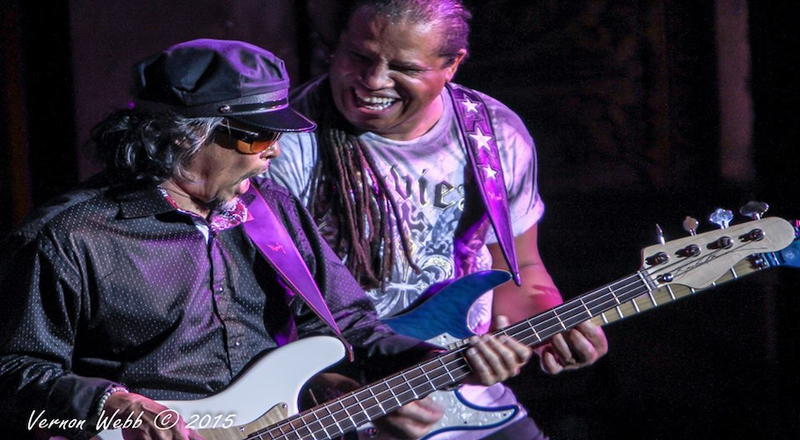 He has also performed with such artists as Charo, Al Jarreau, Rick James, Richie Havens, Lee Oskar, Toots Theilman, Michael Paulo, Tennyson Stephens and is the musical director for The Family Stone with original founding members, and rock & roll Hall of Fame inductees, Jerry Martini, Cynthia Robinson & Greg Errico. © 2019 Moody Leather Inc.